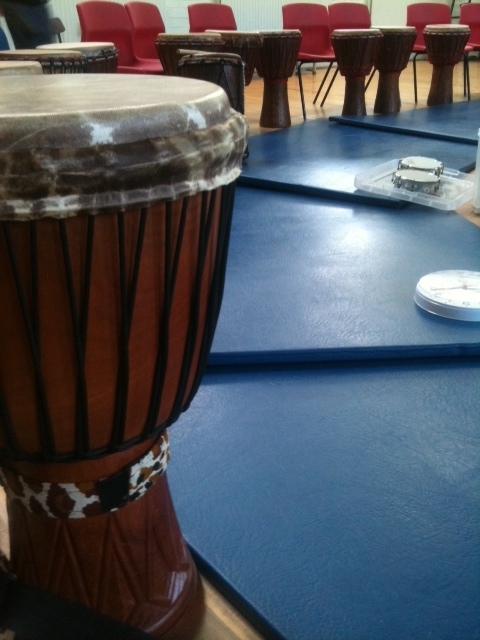 This month we ran a Black History Month drumming workshop with the children from Wycliffe Primary School in Saltaire, West Yorkshire. This was a particularity wonderful workshop which culminated in a final performance for the parents at the school. There was an huge turn out for the performance, so we couldn't let miss such a great opportunity! The parents joined in with an African song the children had learnt during the day! What is so amazing about a big group singing session? Well no one feels exposed - it doesn't matter how bad one's voice is, when a whole group sings together it sounds beautiful. ''I should know'' says Steve Rivers “my voice is more gravelly than a garden path!'' As the group sang away, the Y1 class beat a driving rhythm called Djole and the other children jumped into the circle to dance in their own special way! The whole experience of the community coming together was a truly special one! Is your school planning a topic on Africa? If so, an African drumming workshop can provide your pupils with an amazing educational experience they will never forget!